Cat Eye Professional Edition data shows that as of 21:00 on February 10th, Beijing time, 8 domestic films ("Crazy Alien", "Flying Life", "The King of New Comedy", "Wandering" were selected for the Spring Festival. The total box office of Earth, "Detective Pu Songling", "Integrity", "Little Pig Peggy's New Year", "Bears in the Primitive Times") has reached 5.782 billion yuan (including service fees). As of 21:28 on February 10, Beijing time, the official Weibo of the movie "Wandering Earth" announced that the box office has exceeded 2 billion yuan. It should be pointed out that the results of the box office of the Spring Festival this year are realized through the increase in fares. Wind data shows thatAffected by the gradual cancellation of the ticket, the average fare this year rose to 45.2 yuan, compared with 39.1 yuan in the same period last year, that is, the average ticket rose 6.1 yuan, or 15.6%. Since the beginning of the New Year's Day, the number of people watching the movie has fallen sharply. The growth of the daily box office is weak. Is the "high" ticket price scared off the audience? "In fact, the quality of the film is not expected to be the root cause of the audience's vomiting fare, and thus reduce the frequency of the Spring Festival viewing. People pay for Michelin's money but eat the food stalls, causing the audience's psychological imbalance." think. "A movie ticket is sixty, and watching movies in the Chinese New Year is almost a look down." ——People usually get used to watching movies at the price of 20-30 yuan, but the fare during the Spring Festival rose to 60-70 yuan or even more than 100 yuan. Every film and television reporter noticed that a 2D movie ticket for "Flying Life" had a fare of 73 yuan in a small county town in China. Every film and television reporter found that during the Spring Festival, the one-day box office in the national cinema rankings in the forefront of the studio, is also a key area for price increases. For example, Taiyuan Wanda Studios Longhu Store, the average fare of the 28th year of February 2nd is 41.7 yuan, the average fare of the New Year's Day on February 9th is 77.5 yuan, up nearly 36 yuan, up 86%. The average fare for the UME Studios in Shijiazhuang on Sunday January 27 was 33.2 yuan. On February 5, the average fare for the New Year's Day was 61 yuan, which was 28 yuan higher than the price increase of 84%. The average fare for the two days before the Spring Festival of Anqiu Zina International Studios is 34 yuan. On February 6th, the price of the New Year's Day is about 60 yuan, and the price is 25 yuan, up 74%. The overall number of people watching the New Year's Day this year has dropped by nearly 800,000 compared with last year. According to the cat's eye box office data, although this year's New Year's Day single-day movie box office set a new record with 1.437 billion (February 7 data). However, in the number of people watching the movie, there were a total of 31.85 million person-times on the first day of the Chinese New Year this year, which is not as good as the data of 32.63 million people last year. The overall attendance rate for the New Year's Day this year was 55.5%, and the average number of people per capita was 58.5. Last year, the two values ​​were 67.12% and 71.67 respectively. Similarly, this year's New Year's Day, the number of people watching the movie was 21.78 million, compared with 25.77 million on the second day of last year. The overall attendance rate and average number of people per week are not as good as last year. As of 21:00 on February 10, the number of "Wandering Earth" ranked first in the total box office was 39.9%, and the average number of people per week was 58, far lower than the "Chinatown Probing 2" and "Red Sea Action" released in the same period last year. film. The reporter noticed that before the start of the Spring Festival this year,Caitong SecuritiesJust in its research report, the box office of the Spring Festival this year is higher than last year, but it will not continue to grow at a high level.Because the screen growth space has already encountered the ceiling, it is difficult to maintain high growth for a long time in the stock market of 60,000 screens. Caitong Securities believes that the average fare with service charge represents the amount of consumer spending for each movie ticket. In 2018, the national average fare (including service fee) will increase by 1.0 yuan to 35.5 yuan per piece, continuing the 2017 average fare. growth trend. The general increase in the national average fare is also an important reason for the box office growth in 2018. "The film market is indeed relatively light, and the cost and operating pressure of the theater are relatively large. The operating costs such as rent are rising. 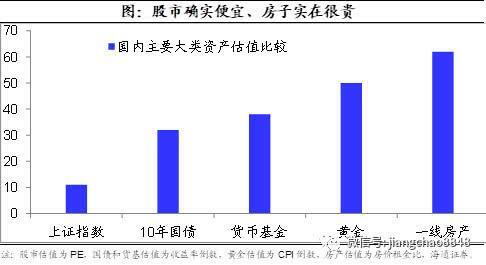 The labor costs during the Spring Festival are also rising. 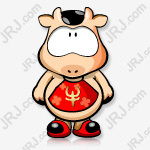 Therefore, the theater people are looking forward to the price increase in the Spring Festival. Can be a little more. Just like during the Spring Festival, vegetables will be more expensive than usual, going out to travel will be more expensive than usual, and theater price increases are also a kind of market regulation in the peak season.” A certain studio manager in Chengdu told reporters. Tickets fill the tide, and the price increase has become more direct to the audience. "This year's increase is a bit too much. In the past years, there were many subsidies from third parties, and everyone could buy very cheap movie tickets.However, this year's subsidies have been reduced, and in some places, the price increase is too fast, ignoring some of the film itself, causing the audience to vomit. "The studio manager said. Since the fare is expensive, the audience will pay more attention to the movie word of mouth when purchasing tickets. In this context, "Wandering Earth" counterattacks "Crazy Alien" became the biggest winner of this year's Spring Festival. It’s not easy to achieve this achievement by watching the movie’s relatively small sci-fi theme to overcome the comedy. According to media reports, director Guo Fan took the "Wandering Earth" from Zhongying in 2015 and found a friend Gong Ge to make a film. The two men padded millions of dollars, wrote a script of millions of words, and finally waited for the project. Project. After the film started, Guo Fan only slept for three or four hours a day. It is not uncommon for him to sleep for several days. This is not only because of anxiety, but also because there are too many things. "Physical time is not allowed." For example, there is a lens, modified 251 draft, Guo Fan simply calculated, even if it takes three minutes to modify, it will be 12 hours after the modification.In the material of "Wandering Earth", there are more than 4,000 special effects lenses, and almost every lens needs to be polished repeatedly. The film was also almost "born in the womb" because of funding problems. Fortunately, Wu Jing appeared at this time. In an external publicity, Wu Jing said that he not only made a guest appearance in the film for 31 days, but also added investment. In order to save the cost of shooting, director Guo Fan Weibo broke the news that the space capsules and clothes in "Wandering Earth" were partly borrowed from "Crazy Aliens." Earlier, some people broke the news that Wanda had divested the film and changed its vote to "Love 2". However, Wanda Films responded in an interview with the media saying that the news was false. "These two projects are far apart. How can they be mixed?" "Should everyone have been in touch, but there is definitely no such thing as 'withdrawal.'" But Wanda really passed by "The Wandering Earth." On February 10th, some netizens found that the official website of Wanda Group still retained an article published on June 1, 2017, signed by the author as Lu You. The title of the article is "Science Fiction Masterpieces; Wandering Earth"; Booting in Qingdao Film and Television Industry Park. Officially released "Wandering Earth", there is no Wanda film and television in the production party. On the evening of the 10th,Shanghai movieAnnouncement, as of February 7, 2019, the company's comprehensive income from the film temporarily was -2.8 million yuan to -2.3 million yuan (the final data is subject to actual settlement). As the film is still in the release, the relevant income will increase with the increase of the box office, the company will release the progress announcement in due course according to the income situation. On the evening of the 10th,Wentou HoldingsAnnouncement, the company's investment in the film "Wandering Earth" film generated business income has not yet formed a large scale, has little effect on the company's performance. Every time I noticed,Beijing cultureAlso participated in the investment and distribution of "Wandering Earth". In recent years, the company has continuously invested in "The Wolf 2" and "I am not a drug god" and other explosions. It is worth mentioning that the original author and film producer Liu Cixin said on his personal Weibo: "Chinese science fiction movies have opened a magnificent voyage." The film is also highly evaluated abroad. The New York Times believes that the new era of Chinese science fiction film production and the new era of space exploration have begun. According to the Beijing Youth Daily, there are sellers selling pirated versions of "Wandering Earth" on a second-hand platform, claiming that it is a full-page HD resource, and the price is as low as 1 yuan, and some of them will be packaged for sale. But 2 yuan. "The biggest difference is that the previous piracy is a gun version, it is not clear. But this time several of them have HD resources." An industry insider who has been working for many years said that such a large-scale piracy is behind There should be a professional team in operation. Guo Fan, the director of "Wandering Earth" and producer Gong Geer, also released Weibo recently, calling on netizens to report piracy. "After the joint action of multi-sectors and rights holders, the piracy of the Spring Festival movie has been curbed, and serious infringement and piracy will be handed over to the public security department to take severe measures against criminal means."